provides for the discharge of most debts, but may involve the liquidation of assets. This chapter of bankruptcy does not include a repayment plan as is the case with Chapters 11 or 13. However, while most debts are discharged, you may choose to continue payments on secured debts, such as home mortgages or vehicle loans, in order to retain the collateral. Who Can Benefit from Chapter 7 Bankruptcy? Contemplating bankruptcy can certainly be stressful. Contrary to popular belief, bankruptcy does not mean an end to your financial well-being. Instead, when utilized appropriately, it provides a financial fresh start, free from the burdens of existing debt. As set forth below, Chapter 7 bankruptcy is available to both individuals and businesses. Not everyone is eligible for Chapter 7 bankruptcy. Eligibility is based primarily on your household income in relation to the median income for your state of residence. Under the 2005 Bankruptcy Act, known as BAPCPA, individuals filing for Chapter 7 bankruptcy must pass what is referred to as the means test. The means test compares your average income for the 6 months prior to filing to the median income in Virginia for a household of your size. If your income is below the median, you are automatically eligible for Chapter 7. If your income is above the median, you must continue the means test to determine whether you have sufficient allowable expenses to qualify for Chapter 7, or whether you must pursue bankruptcy relief under another chapter, typically Chapter 13, but sometimes Chapter 11. It does not, however, include social security income. You may be exempt from the means test if your debts are not primarily consumer debts. Consumer debt is defined as debt that is incurred primarily for personal, family, or household purposes. It does not include debts incurred for business or investment purposes. Additionally, disabled veterans who incurred the majority of their debt while on active duty or while performing homeland defense activities may also be exempt from the means test. Assets that are not exempt may be sold by the bankruptcy trustee to pay creditors a pro rata share of their claims, consistent with the priority scheme set forth in the Bankruptcy Code. Additionally, a debtor can be denied a general discharge of debts based on various transactions or misconduct as set forth in the Bankruptcy Code, or if a discharge was obtained too recently to qualify for another discharge. It is important to understand that most liens on property also survive Chapter 7. Although an individual may be discharged of his or her personal liability on a debt, the continuing existence of the lien will require the debtor to make payments or other satisfactory arrangements with the lender as a condition of retaining ownership of the lender’s collateral, such as a home or a car. While the availability of future credit depends on a number of issues, a Chapter 7 bankruptcy filing is reflected on an individual’s credit report for ten years. You can learn more about the effects of bankruptcy on your credit in this blog post. Most businesses are eligible for Chapter 7, which automatically stays creditor collection actions against the company. However, unlike an individual in Chapter 7, a business entity is not eligible to receive a discharge of debts, on the theory that it will have been dissolved such that no discharge is necessary. Once a case is filed, the business must cease operations unless it is maintained by the court-appointed bankruptcy trustee during the pendency of the case. The trustee’s role is to collect accounts receivable and other debts owed to the company and to liquidate any assets that remain in the business, and then to distribute the proceeds to creditors pro rata, consistent with the priority scheme set forth in the Bankruptcy Code. Secured creditors may seek the return of business property that was pledged as collateral for their debt. A corporate Chapter 7 filing serves as a “going out of business” notice to a company’s creditors, and the case closes once its assets have been administered by the bankruptcy trustee. Even after the conclusion of a corporate Chapter 7 case, the debts may continue to exist until the statute of limitations on those debts has run. In situations where the individual owners have offered personal guarantees of company debts, ongoing creditor collection actions may force the company’s owners into their own individual bankruptcies. Chapter 7 is the most common form of bankruptcy because it is straightforward. It offers the prospect of a financial fresh start to an individual, who is also permitted to retain his or her exempt assets. Bankruptcy works best when used appropriately based on the facts and circumstances presented by a client’s particular situation. Accordingly, one must consult with professionals who have the expertise and experience to assist. Tyler, Bartl & Ramsdell, P.L.C. 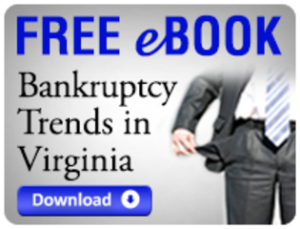 has more than 30 years of experience in helping individuals and businesses across northern Virginia pursue their rights and remedies under the Bankruptcy Code.